ARLINGTON, Va. (AP) — The Washington Capitals have signed college free-agent forward and local product Joe Snively to a two-year entry-level contract that begins next season. General manager Brian MacLellan announced the deal Monday. Snively is a native of nearby Herndon, Virginia, and played his youth hockey at the Capitals' practice facility as part of the Little Caps program. 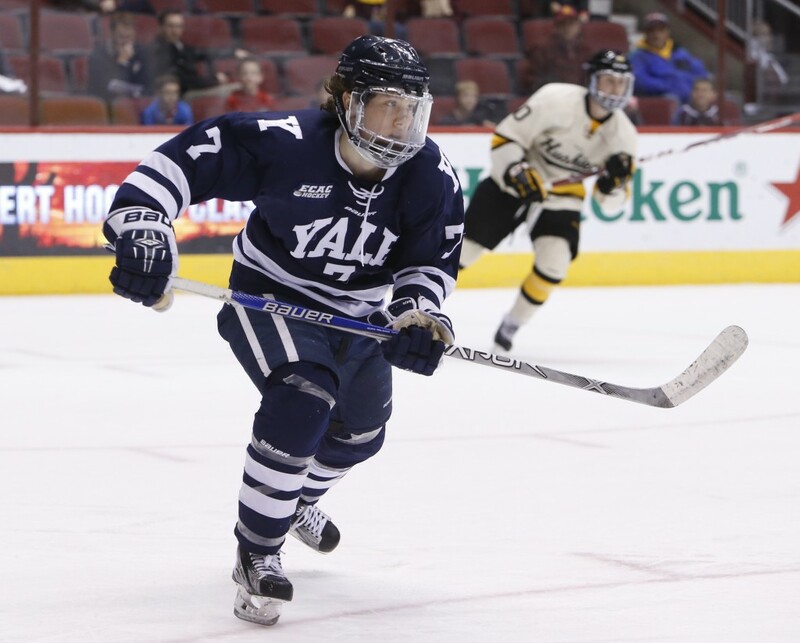 Snively, 23, had 15 goals and 21 assists for 36 points in 33 games at Yale this past season. He was Yale's leading scorer in each of his four seasons there and reportedly drew interest from two-thirds of the NHL. The 5-foot-9 Snively immediately becomes one of Washington's top forward prospects and is evidence of the Alex Ovechkin effect on hockey in the area. He joins Minnesota's Sam Anas and 2009 Pittsburgh draft pick Nick Petersen as Little Caps alumni to sign an NHL contract.